SACRAMENTO, Calif. /California Newswire/ — This past Thursday (Feb. 7) Calif. 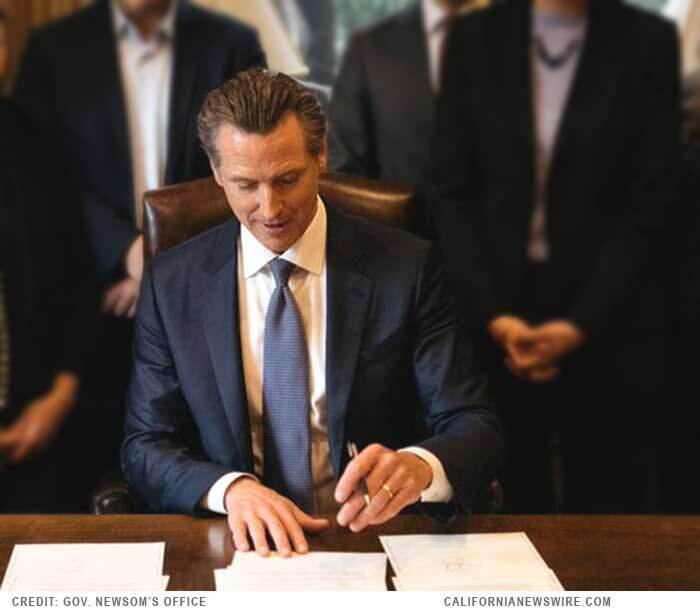 Governor Gavin Newsom announced the following appointments: First, Yvonne de la Pena, 53, of Elk Grove, has been reappointed to the California Apprenticeship Council, where she has served since 2015. De la Pena is executive director of the California Firefighter JAC, a position she has held since 1999. She was assistant to the president for the California Professional Firefighters from 1986 to1990. This position does not require Senate confirmation and the compensation is $100 per diem. De la Pena is a Democrat. Richard Harris, 75, of Villa Park, has been reappointed to the California Apprenticeship Council, where he has served since 2007. Harris has been the president of Residential Contractors Association since 1987. He held multiple positions at Wesseln Construction Company from 1965 to 1987, including general superintendent and apprentice carpenter. This position does not require Senate confirmation and the compensation is $100 per diem. Harris is a Republican. James Hussey, 67, of San Leandro, has been reappointed to the California Apprenticeship Council, where he has served since 2013. Hussey has been president of Marina Mechanical since 1990 and was chief operations officer at the Sheet Metal Workers’ Local 104 Bay Area Industry Training Fund from 2010 to 2015. He was president of Bay Point Control Inc. from 1980 to 1990 and master electrician at the City of Concord Department of Leisure Services, Concord Pavilion from 1978 to 1980. Hussey was a service manager at Scatena York Company from 1977 to 1978 and at Marina Heating and Air Conditioning from 1972 to 1977. He is a member of the Air Conditioning Contractors of America and the Sheet Metal and Air Conditioning Contractors’ National Association. This position does not require Senate confirmation and the compensation is $100 per diem. Hussey is a Republican. Derrick Kualapai, 48, of Pittsburg, has been appointed to the California Apprenticeship Council. Kualapai has served as special representative of the States of California and Hawaii for the United Association since 2018. He was President at the Plumbers and Pipefitters Local 342 from 2004 to 2012. Kualapai is an executive board member of the California State Pipe Trades Council and a trustee on the Contra Costa County Building Trades Council. He is a graduate of the United Association’s Certified Instructors Training program. This position does not require Senate confirmation and the compensation is $100 per diem. Kualapai is a Democrat. Louis Ontiveros, 51, of Riverside, has been appointed to the California Apprenticeship Council. Ontiveros has served as director of training at Southwest Carpenters Training Trust since 2017. He was a team lead and executive board member of the Southwest Regional Council of Carpenters Local 944 from 2002 to 2017. Ontiveros was an apprenticeship instructor at Southwest Carpenters Training Trust from 1998 to 1999. He served as a U.S. Marine from 1985 to 1993. This position does not require Senate confirmation and the compensation is $100 per diem. Ontiveros is a Democrat. Paul Von Berg, 73, of Newport Beach, has been reappointed to the California Apprenticeship Council, where he has served since 2011. Von Berg retired as executive vice president of Brutoco Engineering and Construction, where he worked from 1992 to 2012. He was director of West Coast operations at Park Construction from 1987 to 1992. This position does not require Senate confirmation and the compensation is $100 per diem. Von Berg is registered without party preference. Richard Zampa, 63, of Rodeo, has been reappointed to the California Apprenticeship Council, where he has served since 2018. Zampa has served as California, Nevada and Arizona apprenticeship director at the California Field Ironworkers Apprenticeship & Training Program since 2005. He was an apprentice ironworker at the Ironworkers Apprenticeship Program from 1973 to 1976. Zampa is a member of Ironworkers Local 378. This position does not require Senate confirmation and the compensation is $100 per diem. Zampa is a Democrat.